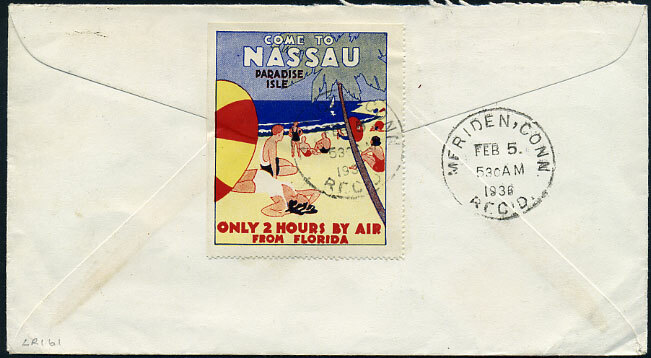 1948 Guy N.F. 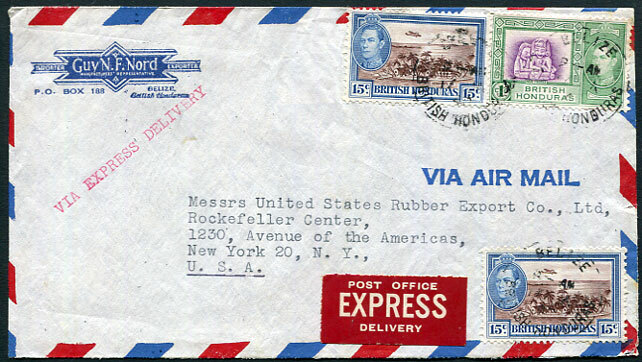 Nord importer/exporter cover marked "via Express Delivery" with Post Office label added to New York with KG6 1c, 2 x 15c (31c rate) pmk'd Belize 17 JA 48, reverse JA 19 arrivals. 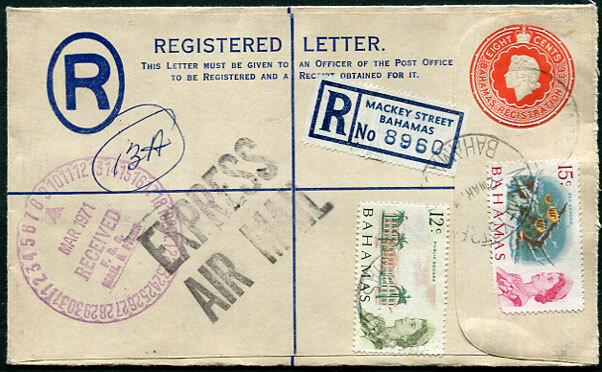 1952 (MR 19) reg. 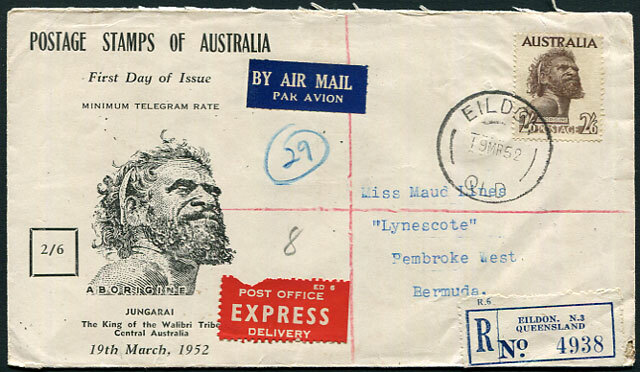 cover with 2/6d Aborigine pmk'd Eildon, Queensland to Pembroke West with EXPRESS label, Eildon, Brisbane, Sydney, New York transit backstamps but no arrival being unusual for secured mail. 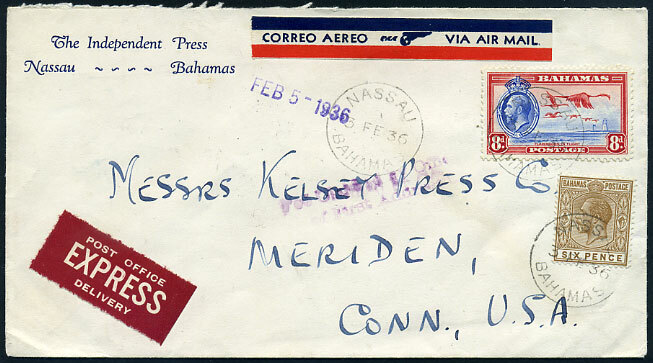 Express Delivery cover with KGV 6d, 8d pmk'd 3 FE 36 to Meriden, Connecticut, reverse with tied "COME TO NASSAU" advertising label. (016.05) */23 MY 56 on mixed reign KG6 1/3d, QE2 4d, 6d reg. 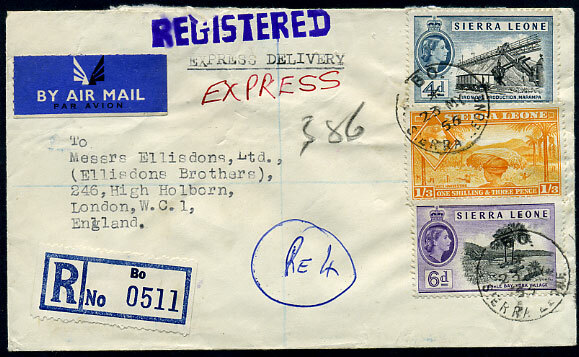 "Express Delivery" cover to London.